"I wanted to give you my feedback with regards to the Busy Bodies programme after I had met with the parents of the children involved . Firstly from my point of view I've found the children are much more confident in PE sessions. In general most of the children you worked with will now attempt and get in involved in physical sessions . It all seems less scary and more attainable to them . These children were very reluctant to have a go at many of the activities I presented to them but are more willing to now, such as hopping , marching, skipping, jumping , throwing and catching. When writing the children are showing more stamina and willingness to get on with the task. They are like different children! While you were working with the children at our school ,they were excited , engaged and keen to work with you . They missed you when you finished the sessions. Following a parents consultation meeting with the parents of the pupils involved: Parents noticed differences at home. They said that their children talked about what they were doing with you and how much they enjoyed it.They reported back to me that pupils were less clumsy in daily functional movements and more confident to have a go at physical activities. They said their children were showing neater handwriting and a keenness to practise this in their own time. The activities you planned and the feedback you gave me was very thorough, demonstrating evidence of progress and highlighting areas where pupils need to continue to focus . These areas were helpful to me as points to discuss during the parent consultation meeting along with the continuing interventions and continued monitoring suggested by yourself . The parents appreciated this and were thrilled with the progress and support. One mum said you wouldn't get this kind of support in other schools and would be happy to provide you with feedback. You made a massive impact!" "All great. It's a pleasure to listen to someone with an obvious passion and wealth of experience." "It was Goldilocks- just right. Thank you for sharing your expertise so well, very interesting." 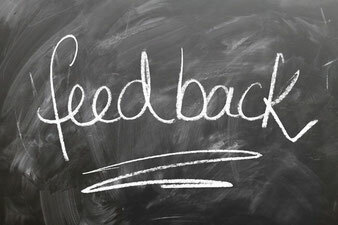 "Really enjoyed the session, well paced and very infomative." "Anne has many years experience working with pupils with special needs and physical disabilities. Her work within Horton Lodge Special School and as part of the outreach team has been exceptional and I would highly recommend Anne. She is practical and the needs of the children are at the heart of everything she does. Anne is realistic in expectations and her budget and her extensive knowledge enables her to give effective solutions or advice." "As an EP working in Staffordshire Moorlands schools. I have found that support from colleagues in the PD Support Service has been invaluable in helping to enable the inclusion of pupils with physical and medical needs in mainstream schools. I know, too, that parents and school staff have very much valued and been reassured by the specialist assessment and advice offered by this team. Close liaison between the EPS and the PDSS allowed us to respond promptly in seeking to meet the special needs of pupils. 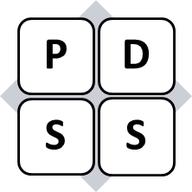 On several occasions I have been alerted to a situation where staff need assistance in drafting a care plan, or are finding it difficult to meet pupils' medical and physical needs, and it has been possible to involve the PDSS very quickly, to the great benefit of both pupils and schools. Newcastle and Moorlands District Office. "We have accessed support from this team over many years whilst I have been in my role. I have always received excellent advice and support." Marie Dawson - Pupil and Family Support Manager, Violet Way Academy and Nursery. "Anne's support has been invaluable! It's been so helpful having her support and advice"
Sarah Stone - SENCo St. Johns Primary School. "very friendly, always feel we can ask for advice and to have it explained. Great support for us"
Cheeky Monkeys Private Day Nursery. "We highly value the support and guidance we receive. This enables us to do the best for our children"
Andrea Kenny- Headteacher All Saints First,Church Leigh. "Great training on Dyspraxia and useful resources. Always great to ask advice and always helpful. A brilliant resource." "Anne Ratcliff is very flexible and provides excellent outreach support. She is a pleasure to work with"
" Anne has worked with Staffordshire County Council's Health and Safety team for several years providing bespoke manual handling training in schools. Her knowledge and skills around children with physical disabilities has been an invaluable asset to our team." My aim is to provide personal and individual support to settings to enable inclusion of pupils with physical difficulties. Please contact me with any queries. I am now taking bookings for my programme called Busy Bodies to assist children to develop gross and fine motor skills. Bookings are available throughout the academic year. The programme meets the criteria for Sports Premuim funding. Please like and share on Facebook.